The Canada Ghana Chamber of Commerce (CGCC) says the Sustainable Development Goals (SDGs) offer an excellent framework for transforming current global realities to that of a much better world. Mr Frederick Attakumah, the President of the CGCC, said organisations must have a purpose that enables them to contribute positively towards enhancing the basic humanity and dignity of members of their societies while proactively seeking innovative business models that addressed their current challenges. He said the CGCC was of the view that any business that sought to remain relevant in the days ahead needed to go beyond just profits by providing equal focus to the welfare of planet earth and its people. Mr Attakumah said this at a seminar on the SDGs organised by the CGCC, in collaboration with the Canadian High Commission in Accra. The seminar, on the theme: "Why the SDGs Matter for Your Business," sought to address questions such as: "Why should the SDGs be of interest to the private sector? Should achievement of the SDGs not remain in the domain of governments and international multi-lateral organisations? How relevant are the 17 SDGs to the future of our businesses? Do the SDGs perhaps present opportunities that the private sector could pursue for the collective benefit of themselves and our society?" Mr Attakumah said the seminar was being held at a time when President Nana Addo Dankwa Akufo-Addo co-chairs the SDGs Advocates Group. He said the CGCC was established to provide an outstanding platform for growth and development of the businesses of its members and, very importantly, facilitate trade and investment relations between the private sectors of Ghana and Canada. 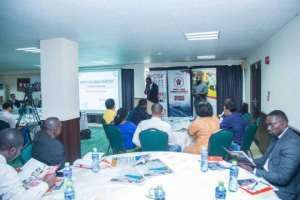 "We do this by providing advocacy on key issues that positively impact the business climate in the country, by leveraging our strategic partnerships with Canadian business Chambers for business-to-business linkages as well as pr oviding an unparalleled networking platform for our members,'he said. "With about 100 members, and growing, we boast of a large number of the titans of Ghana's business community in sectors such as real estate, shipping and logistics, mining, financial services, food and beverages, construction and infrastructure development, lCT, consulting and law firms," he added. Ms Heather Anne Cameron, the Canadian High Commissioner, said Canada, Ghana and other members of the global community had committed a lot of efforts towards accelerating the implementation of the SDGs to eradicate poverty. Dr Eugene Owusu, the SDGs Advisor to President Akufo-Addo, said the SDGs agenda were indispensable to the country's development. "The SDGs agenda is not merely desirable. They are indispensable. We must do our ultimate to make it happen, achieve the goals, and bring prosperity and dignity to our people," he said. "No matter what the challenges may be the SDGs present a great opportunity to transform our world," he added. He said it could help them to engage better with their regulators, consumers, communities and employees. The SDGs are a collection of 17 global goals set by the United Nations.The broad goals are interrelated though each has its own targets to achieve. The total number of targets is 169.The SDGs cover a broad range of social and economic development issues.